A long weekend break is on the horizon, a great time to attack some of the projects around that house that have been on your to do list for some time. Well, a normal weekend is just too short. By the time that you have caught up with friends and conquered all the usual chores to be ready for the next week it is soon Monday morning again. This job could actually make for a fun weekend, honestly! You will feel great when it is done and you will gain some space. Just imagine the kind of things you might find. It is sure to lead to a nostalgic trip down memory lane when you discover boxes of memorabilia for days gone by. It could even make you some money if you uncover items that are suitable for a car boot sale. There may even be an antique or two lurking up there. If not there is the feel good factor of passing a generous donation to your local charity shop. Sick of the shelves, drawers and cupboards stuffed full of CDs, DVDs, photographs and books that are hardly ever looked at, watched or listened to? Why not go digital? Purchase a hard drive and spend your long weekend scanning, uploading and downloading. Again you will gain space, and you will have a pile of items that you can sell online for cash. Head for places like Music Magpie or Gum Tree and make some money ready for your next project at home, or better still a well earned holiday. If you can’t bear to part with your precious music and movie collections, box them up and pack them away into self storage there are plenty of them around, like CityStore Self Storage in Luton. This way they will stay in mint condition to be sold as collectables or handed down through the family. Don’t worry if you don’t live in the Luton area of London, self storage in London is not in short supply. Hooray! Spring is here and it is time to start updating your wardrobe. Yes, it’s time to rotate your clothes around and fill your wardrobe with lighter, brighter outfits for the new season and in preparation for the summer months and impending holidays. No room in your wardrobe? Overwhelmed with the huge amount of fashion garments that you actually have stuffed in there? Don’t panic, streamlining your clothing will make you feel like you have a complete new and manageable wardrobe. You will need to be ruthless though, pulling out things you have never worn, items that don’t fit and that you realistically not going to wear again, items that you haven’t worn for over a year and those items that are most definitely seasonal. Out of those items there are money making opportunities for those garments that are in good condition, head to eBay for example. For seasonal items that you will wear again, store them in vacuum packaging and put them into self storage to save space at home. For everything else there are the charity shops that are always grateful for your donations. We all have a least one room in the home that is the last to get done, and yes we keep putting it off. Well, there is no excuse now that you have a nice long weekend and the days will be much longer too. Before you get started with the messy stuff, washing down woodwork, sanding, striping wallpaper it is a good idea to get the room completely empty of furniture and protect any furnishings you intend to keep. So that the rest of the house doesn’t become cluttered, or even rooms being unusable, transfer as much of the furniture and boxed items as you can into self storage. This way you will still be able to get a break from the mess. With a massive 45% of us Brits likely to undertake a DIY project over the bank holiday weekend remember the DIY stores will be busy so get as many of your supplies as you can before the weekend. It is also wise to check the opening times of the stores too as these will differ from their normal opening times. You may not be able to get a new paint brush at 8pm. Changing your flooring is one place to start. Carpet tiles make for a nice alternative to regular flooring, plus they are cheap and easy to install. There are many other advantages to choosing carpet tiles for flooring. Who Care’s about the Weather? These are all great projects to get going on if the Easter weather isn’t in our favour, which unfortunately what has been reported. 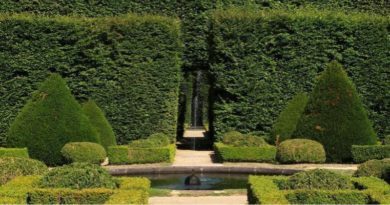 If the sun does shine you could always get the garden ready for summer and tackle those hedges and boarders. That is a whole new article which I am sure will get written eventually. I will put it on my list of writing projects, see we all have lists! Let us know in the comments what you will be doing this Bank Holiday weekend. Me? I am going to be doing a big of de-cluttering and some fun stuff too, I think they call that life balance.